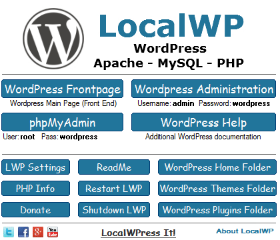 Today I bring you LocalWP (Short for Local WordPress) version 2.1.0 (FREE Program). This release includes new features, updated server software, visual enhancements, and much more. I have been working on this one for quite a while now, and have put in a couple hundred hours developing and testing it. If you have used an earlier release I would consider downloading and check this one out. It includes new user-friendly features that are worth exploring. 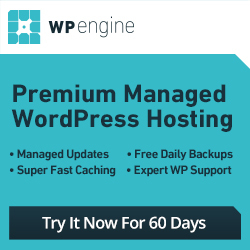 All you need to do is download, extract, start the program, and you can use WordPress locally on your computer (almost instantly). There is a small little message that will appear in the lower right corner of your computer screen above the time clock after about 10 minutes. It will stay there until you close LocalWP. It just says the version number by DialMe.com, and informs you that it is donationware. This message could be removed completely in future versions once I hit my target donation amount, which could be months, years, or never. 1. Make a donation and we will send you an update without the message. 2. Restart LocalWP after the message appears and you have 10 more minutes without it. *See the ReadMe file or button in LocalWP for more details. Overall it’s very small and not that noticeable. 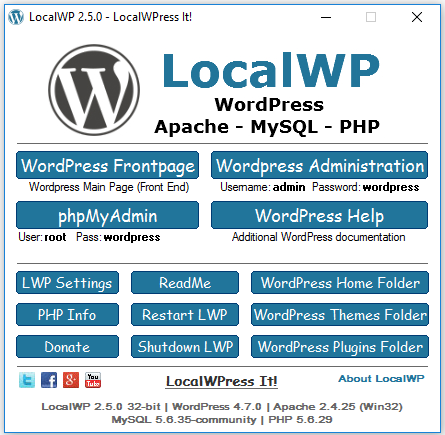 LocalWP allows you to use WordPress on your local Windows computer in a matter of seconds. 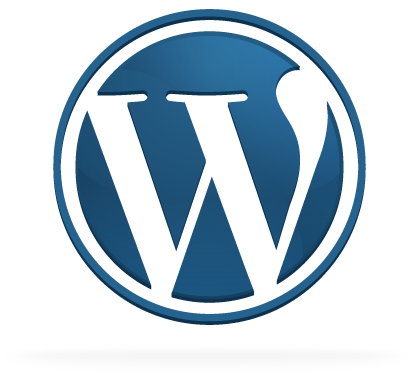 All you have to do is download, extract, and you can begin using WordPress. You don’t have to install or configure anything like a database. It is pre-configured and ready to go. Apache, MySQL, and phpMyAdmin were updated in this release. It is slightly larger in file size/space than the previous version, which is mostly because MySQL 5.5.34 is larger than previous 5.1.70. Server related configuration changes can now be found by clicking on the LocalWP Settings button. You shouldn’t have to change any of these settings. In fact, I wouldn’t recommend doing so if you don’t know what they are for or do. Using the default pre-defined options will be more than adequate for most users. However, they are there for those of you that are brave or have more experience. 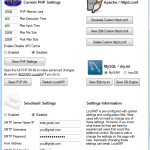 In the settings area you will be able to change 5 of the more common PHP settings, as well as enable/disable APC cache. You can also use the Open PHP INI button if you want to make advanced changes. You can enable/disable a Windows Sendmail feature. Simply fill in your SMTP credentials and save the changes. 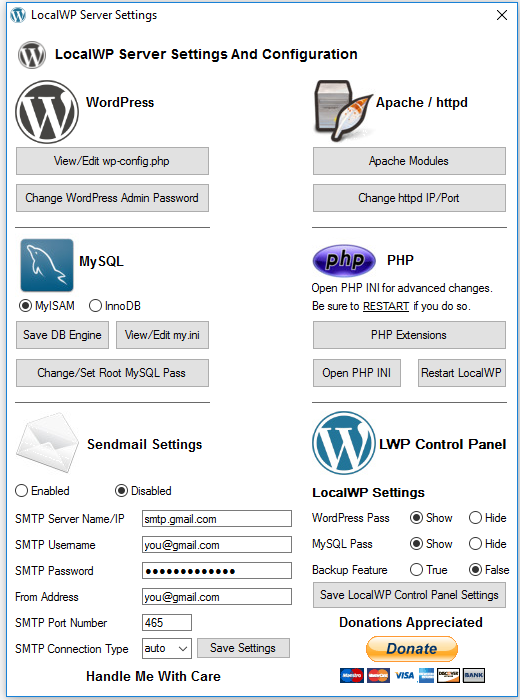 This will allow you to send email with WordPress like plugins, etc. It would primarily be used for testing email/message delivery. Here you have the option of generating a custom httpd.conf file. View/Edit a custom httpd.conf file, and delete custom httpd.conf. LocalWP automatically creates a new httpd.conf file each time it starts. This is necessary in case you want to move LocalWP to another location at a later time. It will automatically update and adjust the location paths if you move it. If for some reason you want to use your own custom httpd.conf file click the “Generate Custom httpd.conf” button and an exact copy of httpd.conf will be created called httpd-custom.conf. Each time LocalWP starts it looks for httpd-custom.conf. If it finds it, it will use that one. If not it will generate and use httpd.conf. If you generate a custom-httpd.conf file any changes you make to this file will remain intact. Be sure to restart LocalWP afterwards so the changes take effect. The View/Edit Custom httpd.conf button will open httpd-custom.conf if you generated one, which you can then edit as much as you want. If it doesn’t exist the default httpd.conf file will open for reference only. If you mess up or change your mind later you can use the Delete Custom httpd.conf button to get rid of it. Then, restart LocalWP and it will revert back to using the default httpd.conf file. You have the option of using MyISAM or InnoDB database engines. The default is MyISAM, and it is recommended that you use this setting for local development. However, you can switch between the two for testing. You can also open the MySQL configuration (my.ini) by clicking on the View/Edit my.ini button. There are new visual start up, shutdown, and restart screens, as well as social icon/links included now. So you already have a new update Ray! Looks like you’re continuing to improve this program. I hope you’ve been getting some good feedback from it. I also hope you hit your donation mark. That would be sweet. I wanted to add more features since the original version release. I was kind of working on it in the background at the same time. The whole project has been a little more work than I originally anticipated, but that’s the way it goes sometimes. Also when I am the sole developer, programmer, and tester there isn’t a lot of free time for other projects and things. Now that this update version is finally released I should be able to get back to a normal schedule (fingers crossed anyway). Love LocalWP! Any tips for moving to the old to new version, while working on a project? Assuming I just need to import the database I’m working on and move over all the wp-content files, but is there anything else that should be done? (A short tutorial or list would be useful). There are a couple of ways to move files and the database from the previous version to this one. Keep in mind the new version has the same file/folder structure so you want to be careful that you don’t extract it to the same location as the one you have already. If you do the new version will over-write your old files, folders, and the database with the new one and you would lose what you have already. So what you would want to do if you haven’t done so is have 2 LocalWP versions (old and new) on your computer until you move or copy things over to the new version and make sure everything is working. Afterwards you could move or rename them, and eventually get rid of the previous version after you are confident you have everything. You can export/import with phpMyAdmin and copy WordPress files over to the new version. Make sure that LocalWP is closed/not running first. Extract the newer LocalWP version to a different location on your computer than the current/previous version. 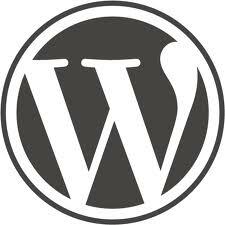 Now copy the WordPress database and the WordPress files/folders from the old/previous LocalWP version that you have been using and working with to the new one. You are basically extracting the new version to a new location on your computer, removing the database, and WordPress files from the newly extracted version and replacing them with the ones in your current/previous version. You shouldn’t have to do anything else with either method. I would keep both new and old version around for awhile just to make sure everything is good to go. Thanks, just used the second (replace files and db) method, and it worked perfectly. This looks like a wonderful program that a lot of bloggers could benefit from. I’m off to share! Thanks Sherryl. This program has a lot of potential and possibilities. My goal was to make it simple enough for the non or less techie person to use WordPress on their regular Windows computer. I use it all the time myself for testing and developing. I also share the same view that the program has a lot of potential. You have really done a fantastic job to make this version simpler.